"We didn't have time, so we couldn't afford to waste any"
As Cassius, Philippe Zdar and Hubert Blanc-Francard, aka Boom Bass, helped usher in a decade of Franco-funk breaks and filtered disco house to the global dance music scene. Along with outfits like Bob Sinclar, Daft Punk and Stardust, they played a part in reinvigorating the stale script that lazy producers were reading from. Bored with a straight-up four-to-the-floor approach to beatmaking, they dug deep into their collective influences of hip-hop, Detroit techno, Minneapolis funk, NY electro, and disco, and stuffed the lot into their restless samplers. 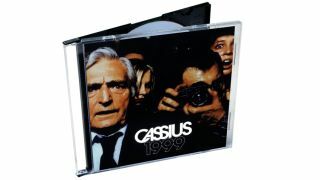 Like their Gallic chums, Cassius were a breath of fresh air, and their debut album, 1999, was a joyous blast of loose licks that made most tracks doing the round seem rigid by comparison. But the immediacy of their music has as much to do with the deadline they were under as it does their magical French touch. "We only had three weeks to finish the album," says Philippe Zdar. "It was insane. We rented a studio in Paris and said, 'OK, we have this amount of time and this amount of money. We have to get it finished by then'. So we came in and worked late into the night, every night, until it was done." With Zdar riding the desk and Boom Bass throwing around chunks of dusty samples and synth melodies, they worked up a storm in the studio. The resulting spontaneous grooves were buoyed by inventive drum programming, and inspired loops and chops, and benefited massively from the pair's meticulous ear for killer vocal hooks. Standout numbers like Cassius 1999, Planetz, Hey Babe and Supa Crush all ring with echoes of Fela, James Brown, Prince, Bambaataa and Saunderson. It was 30 years' worth of their collective musical influences wrung through the mangle of late 90s Parisian clubbing. The results were très bon, to say the least. "We didn't have time, so we couldn't afford to waste any," says Zdar. "I think it helped us get the best ideas down because they were so fresh in our minds. That's why people still listen to it today." The recently reissued 1999 is available on double vinyl, while Cassius' new album, Ibifornia, is out now on Ed Banger Records. Here, Phillppe Zdar takes us through it, track by track. "This one started out as a homage to Stevie Wonder's Too High, from his Innervisions album. We wanted to do a breakbeat song with that kind of bass. This is also the first time that I put my voice on a record. "It became a famous music video for us. We gave the track to [music video directors] Alex and Martin, and when they gave it back we said, 'Oh no! This video is too good!' We didn't think our song was big enough to match it! So we went away and remade it. This is our original version of the song, though. It's really underground compared to the remix, which we close the album with." "Hubert found the sample [Gwen McCrae's All This Love That I'm Giving]. Then we came up with the idea for this song, but it wasn't really classical. It was a cool idea, but nothing too clever or credible with the sampling. Then, when we were DJing in a club around the time, I thought I'd try it out and the crowd went crazy [laughs]. We knew there was something there, so the next day we went back in the studio and played with it a little bit more. It would become one of the most important records for us." "We'd always wanted to do a song for the breakdancers. We loved that music. Crazy Legs was the name of one of the bboys from the Rocksteady Crew. We were obsessed with him and that New York scene in the 70s. There were a lot of breakers in Paris in the clubs when we were making this album too. It was a big scene. A lot of Italian guys, French, Swiss. All dancing. It was happening. In house clubs! There was a very famous night called Respect. Everybody was breakdancing. We wanted to bring back that feeling; to channel that funky, disco breaks vibe that they got down to. This was our homage to people like Afrika Bambaataa and the electro music he made like Planet Rock. We were obsessed." "This started with a bassline I'd made. I knew I didn't want it to sound like a typical house track, so I added the notes over the top of it. It was like two notes. It would be easy to do now because EDM music reminds us every day that you can make a song with just two notes, but at the time everybody was all about being very musical and adding more notes! We were being very minimal to be different. "When we had the remix done by DJ Falcon, the song became very big. That became part of the trend for 'maximal' house music. When we played that version it was the start of people in house clubs headbanging!" "We were messing with the breakbeat thing here and trying to turn it into something classic. The beat was made in the E-mu SP-1200, which was a great piece of kit. The song all comes from that. I loaded in some drum samples and made my own beat. That was the great thing about the SP-1200. The sound of the drums after you put them in there was always incredible. "We still use it to this day. It gives you a nice crunch. It's an effect you can emulate easily now with a bitcrusher, but at the time everyone was putting stuff through this machine to get that sound." "This was the first track me and Hubert ever made as Cassius. Well, we were called Qui Valait Trois Millards [The Six Million Dollar Man], and the track was called Foxy Lady. We remade it for this album. We were making hip-hop music under the name Motorbass, but we wanted to try and do a dance track. Hubert went away and then called me, saying he'd been working on something on that tip [sampling Willie Hutch's theme from blaxploitation flick Foxy Brown] and played me this. I was like, 'Wow! That's what I'm talking about'. You could say this was the start of it all." "I remember this track very well. I love this song. It was a piece of music that was coming from house, with a bit of a Detroit influence, and mixed with a lot of the New York electro from the 80s by the likes of the Soulsonic Force. This track was made at the same time as Crazy Legs. You can put them both together. This was our Planet Rock. We started with a little vocal sample that said 'planets' [taken from The Whispers track, Planets of Life] and built off repeating that. We tried to make it very rough and underground sounding." "This is a good song to get into. It's over six minutes long. It builds nicely. You can put it on and close your eyes to it. Dance with your girlfriend to it. It's like an old James Brown song. Vintage and funky." "This was us trying to be techno-y, but not just relying on that 'four-to-the-floor' drum kick programming. We stumbled on this beat and both went, 'Oh. This is what we're looking for'. We then added to the top of that. It came together very quickly. As soon as it was finished being programmed, we bounced it down to tape then and there and it was finished. Very quick." "Definitely one of my favourite ones off the album. Thinking about it now, it was a kind of tribute to Fela Kuti, which is kind of full circle now as the new album takes a lot of inspiration from Fela. We always thought of Fela as Mister Eveready. He was always ready. This is a good song to get into. It's over six minutes long. It builds nicely. You can put it on and close your eyes to it. Dance with your girlfriend to it. It's like an old James Brown song. Vintage and funky." "It's quite fast, no? It's a good party track to play. I think we just wanted to make some mix-up of disco and house for the dancefloor. We kind of came up with that recipe. We loved that era. We liked playing it out with the Chicago house music that was around at the time. We were very obsessed with both the old-school Chicago house music, as well as the new-school tracks that were coming out on that - how you say in English - deep house tip? In France, there were suddenly all these guys sampling and making their own version of it. It blew up and got everywhere, this French house. In fact, this new music was nothing but a rip off of the Chicago house movement [laughs]." "This is a little track. We always tried to make some moments on our albums where you could just breathe for a second. This is like the stuff we would make under the name La Funk Mob. There were a lot of La Funk Mob moments on the first album. It's quite trip-hoppy. We had a hip-hop beat backing it, with some sub bass and the crackle of vinyl over the top. Hip-hop was in our roots." "This, I love. It's another homage. This time to Michael [Jackson]. This is direct to the Bad album. Or Wanna Be Startin' Somethin' off Thriller. It has that funky drum machine shuffle. There is even some 'ha ha ha ha' breathy vocals in the background, too [laughs]. We wanted to channel Michael on this one." "This is Club 75. It's a club track, but a slow club track for girls. It's got that sleazy Prince sound. Tracks like this were all about that vibe. It's been a main influence from day one to now, that Minneapolis sound. It was funny, in 2009 Pedro, aka Busy P, said we should form a supergroup with him and DJ Mehdi and Justice, called Club 75. We toured that for about a year, but it got the name from this track. We all knew it was a big song. You could play it anywhere." "Another breakbeat! Thanks to this interview, I've been listening back to the album and realising just how many breaks are in it [laughs]. We were obsessed with making beats. We wanted that groove; that funky, live movement you get with drum breaks. We didn't want that rigid 4/4 programming. That was too strict. We wanted the funk that the hip-hop producers were digging." "We wanted that groove; that funky, live movement you get with drum breaks. We didn't want that rigid 4/4 programming. That was too strict. We wanted the funk that the hip-hop producers were digging." "Here we sampled the greatest singer/songwriter ever, Curtis Mayfield [from To Be Invisible from 1974's Sweet Exorcist]. This song was a homage to him and his sound. There are a lot of guys we love as singers, and there are a lot of guys we love as players, but not many can do both so well as Curtis Mayfield. He has everything." "And we go back around. This is a remix of the first track of the album. Like I said, the opener is our original version, and then we had to make this remix after we saw how good the video was for the song! It went on to become our biggest single, so thanks to [directors] Alex and Martin for raising that bar [laughs]." For more information about Cassius and their ongoings, visit their bold and baffling website.